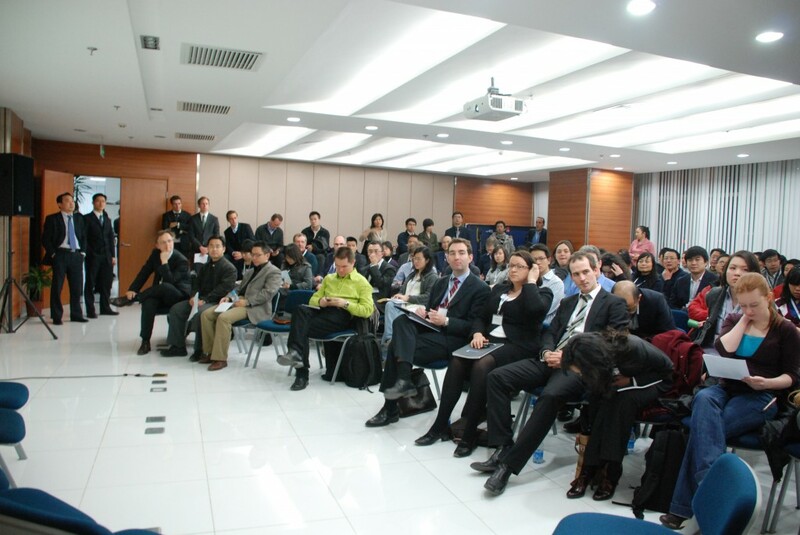 Over 90 participants attended ‘Back from Copenhagen: Stories from Various Stakeholders’ on January 21, 2010. 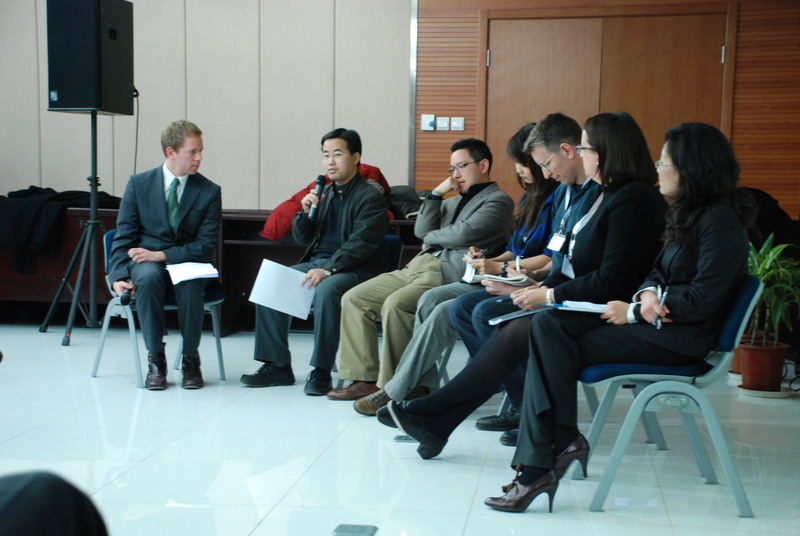 The event featured six speakers who attended UNFCCC COP15. Through personal anecdotes and technical discussions, the speakers spoke of their experiences negotiating and observing at COP15. They captured the frenzy, highlighted the outcomes, and offered their own analyses regarding the role that China played at the talks. Two members of the Chinese government delegation to COP15 were among the speakers: Dr. Wang Chunfeng, Deputy Director General of the State Forestry Administration, and Professor Wang Can, Director of the Tsinghua University International Economic Policy Research Center. The non-government speakers were Ms. Li Yan, Climate Change Specialist at Greenpeace China; Mr. Jonathan Watts, Asian Environmental Correspondent of the Guardian; Ms. Madeleine Rawlins, Qualification Director at Camco International; and Ms. Ding Ying, Attorney at Norton Rose focusing on climate and energy issues. A recurring topic was the openness and confidence of the Chinese delegation at Copenhagen, especially during the first week. The speakers noted that, unlike some Western delegations, the press conferences held by the Chinese delegation were open to all media. However, it was also noted that China did not respond immediately when a multitude of unexpected events unfolded, which in part led to the negative media image and misunderstandings surrounding China by the end of COP15. This was exacerbated by an aggressive US response and reports that China prevented emissions reduction targets from being included in the final Copenhagen Accord. Despite COP15’s lack of legally-binding outcomes, the speakers reminded the audience of the progress made. In forestry, Annex I countries agreed to negotiate new rules for the accounting of availability and removal of natural resources. They also agreed to provide financial support for developing countries’ efforts to reduce emissions from deforestation and degradation. On the technology transfer front, a new platform was developed in Copenhagen and set the stage for ongoing positive negotiations in that area. Another topic heavily discussed at COP15 was the future of CDM. While recognizing the value and important contribution of CDM towards reducing carbon emissions in developing countries, delegates agreed that it needed to be enhanced to be more effective. Continuing negotiations after COP15 will aim to increase transparency and consistency of the CDM Executive Board’s project registration process and decisions. Furthermore, delegates agreed not to penalize projects in developing countries already committed to a low-carbon economy. 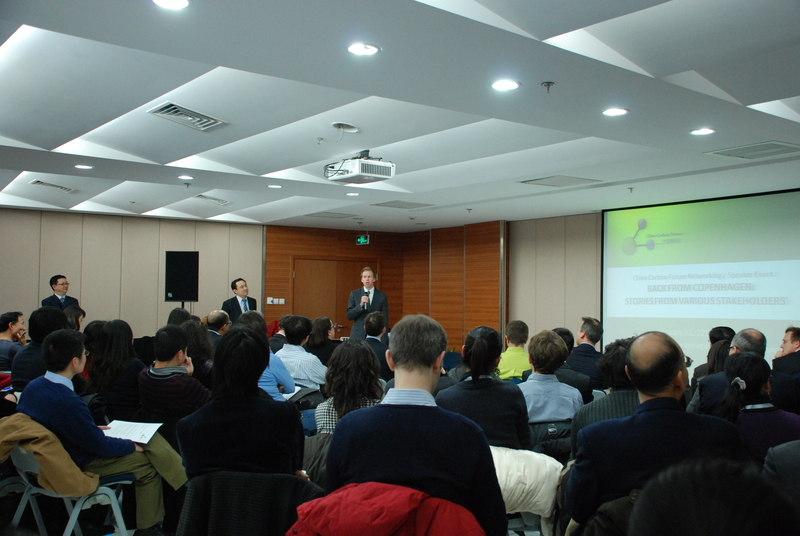 The 90-plus audience came from Beijing’s private and public sectors. They represented members of carbon trading entities, the diplomatic community, international organizations, media, and academia. Multiple questions arose from the audience, generating thoughtful discussion.